Canada is considering subjecting private lenders to the same mortgage stress test rules faced by banks to prevent housing markets from being destabilized by the lenders' rapid growth, three sources with direct knowledge of the matter said. Officials from the country's finance ministry, financial regulator, central bank and federal housing agency have discussed whether the private lenders' expansion over the past year poses a threat to economic stability, said the sources, who declined to be named because the talks are confidential. Private lenders, usually groups of wealthy individuals, currently account for around one-tenth of Canada's C$1.5 trillion ($1.1 trillion) mortgage market, according to economists, and are still dwarfed by banks but their growth has accelerated since rules introduced by the country's financial regulator last year made it harder for banks to grant loans. Some economists say the new rules effectively transferred risk to private lenders that are more exposed if markets turn because they lack the capital buffers which banks hold and lend out a higher proportion of a property's value. They say if private lenders hit trouble, it could impact overall lending and accelerate house price declines. The new B-20 rules, introduced last January, required banks to test borrowers' ability to make repayments at 200 basis points above their contracted rate, and have resulted in more applications for loans being rejected. Measures to limit their growth were discussed at meetings of the Department of Finance's Senior Advisory Committee, which provides guidance to Finance Minister Bill Morneau on issues including potential vulnerabilities in the financial system. The meetings were chaired by Morneau's deputy minister of finance, Paul Rochon, and attended by top officials from the Bank of Canada, the Department of Finance, OSFI and the Canada Mortgage and Housing Corp (CMHC), the sources said. One option would be for the federal government to ask provinces to apply the B-20 guidelines themselves, the sources said. Private lenders would then also need to provide stress tests on borrowers at a higher interest rate, or 200 basis points above their contracted rate, the same as the banks' stress test, leveling the playing field. 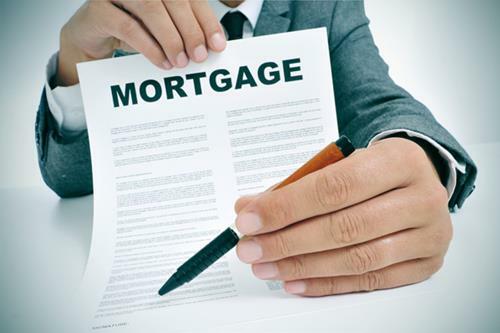 Mortgage investment companies (MICs), which pool the funds of wealthy individuals to lend to homeowners, have been the main driver of private lenders' growth, according to mortgage experts, picking up borrowers spurned by the banks. The MICs, which lend up to 90 percent of a property's value, typically charge borrowers annual rates above 10 percent and sometimes as high as 15 to 20 percent, compared with the 3 to 5 percent offered by banks. Investors in MICs are typically offered returns of 6 to 10 percent. The Bank of Canada published data last November showing private lenders accounted for 8.7 percent of Toronto's residential mortgage market at the end of June 2018, up from 5.9 percent 12 months earlier. Some economists say they are now likely to account for more than 10 percent. Benjamin Tal, deputy chief economist at CIBC World Markets, estimated private lenders could increase their market share to 15 to 20 percent if regulators do not act and said they should be subjected to the B-20 rules immediately. "This could have macro-economic significance," he said in an interview. "Anything over 10 percent, in my opinion, is already too big and, without regulation, private lenders can grow to more than 15 percent, which is too strong."